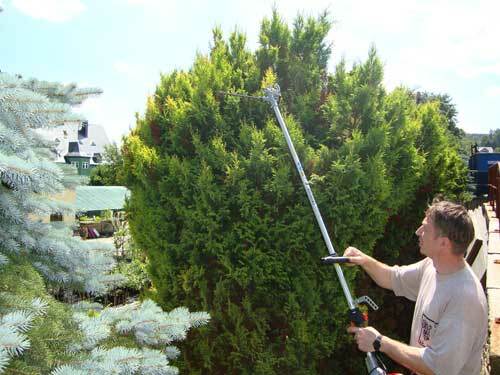 The hedge trimmer attachment fits on brushcutters UM25D / UM25R and TJ27R. 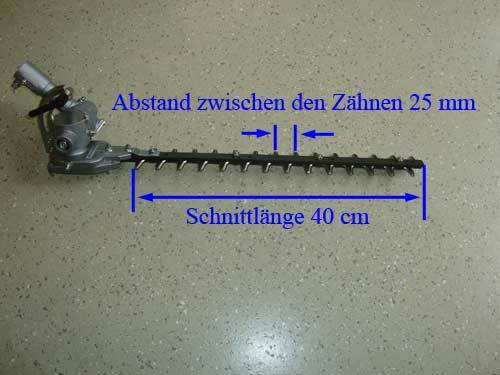 The angular gear is being unscrewed and replaced by the hedge trimmer attachment. The cutting length is 40 cm. 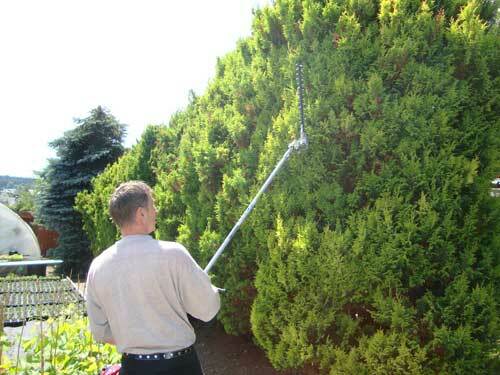 The attachment hedge trimmer is made in Japan. 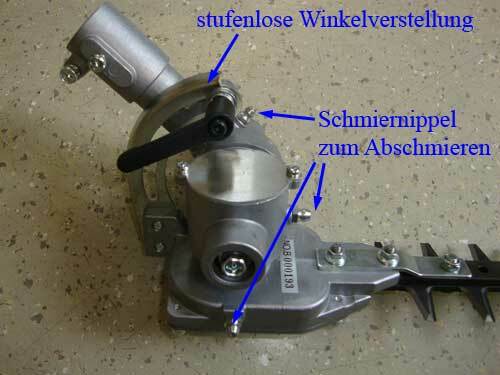 The cutting angle can be infinitely adjusted with a locking screw / clamping screw.